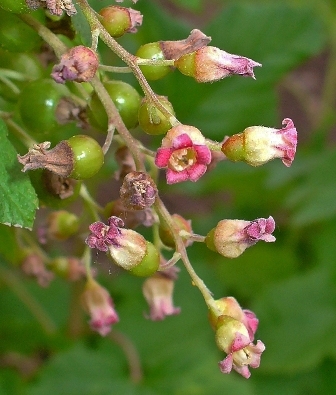 Black currant is believed to be a native of Finland. The shrubs of this fruit has a characteristic smell. 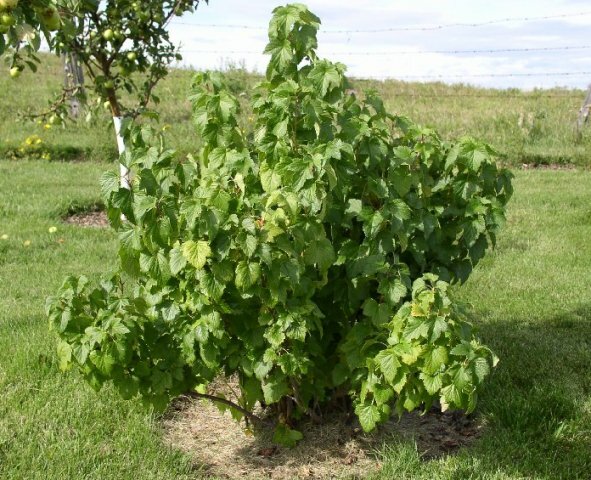 In fact non-fruiting black currant shrubs, which otherwise look quite similar to those of red currants, can be distinguished from red current shrubs by the presence of this smell in leaves. 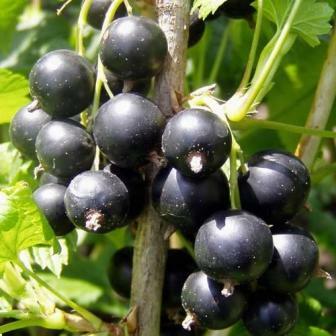 The demand for black currant fruits has greatly increased during the recent years after it these have been found to be rich source of anti oxidants. 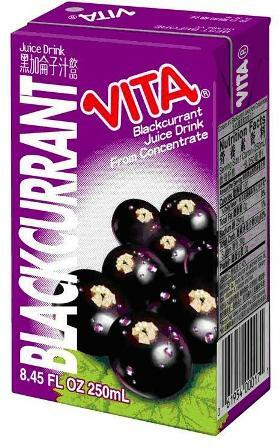 On account of this, ome marketers promote black currant as a “sperfruit”. A medium sized shrub, growing to 1.5 metres by 1.5 metres . Leaves alternate, simple, 3 to 5 cm, broad and long with five palmate lobes and a serrated margin, strongly aromatic. Flowers borne on 8 cm long racemes each containing 10 to 20 flowers; flower 7-9 mm wide, calyx hairy with yellow glands, the five lobes of which are longer than the inconspicuous petals; stamens 5, surrounding the stigma and style and two fused carpels; flowers open in succession from the base of the strig, mostly insect pollinated. Fruit a fleshy berry, up to 1 cm in diameter, very dark purple in colour, almost black, with a glossy skin and a persistent calyx at the apex. 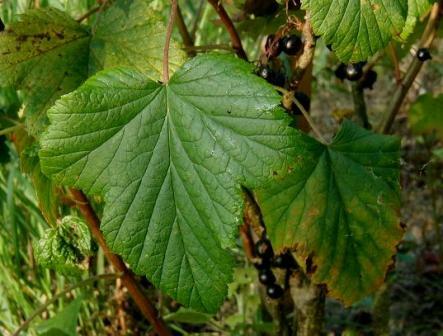 Besides being eaten fresh, the black currant fruits are put to several culinary uses. This is because of their aroma. 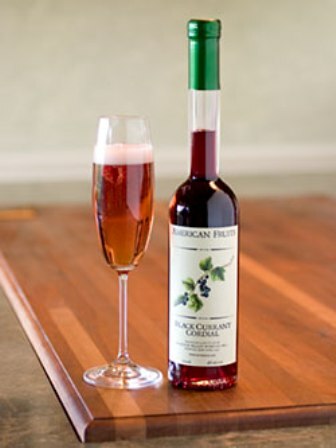 These are also made into various alcoholic preparations like wines and liquors in Europe. The leaves of this fruit are are also used as tea. According to herbalists, the small fruits of black currant have many useful medicinal properties. Black currants grow best on fertile, damp but not water logged soils. They cannot withstand drought. New plants are mostly raised from the seeds. Some nurseries also sell named varieties of black currants.